Federal funding has been restored for the RIT-led REMADE Institute, which is forging new clean energy initiatives deemed critical to keeping U.S. manufacturing competitive. Federal funding has been secured for the RIT-led coalition of leading national universities and companies forging new clean energy initiatives deemed critical to keeping U.S. manufacturing competitive. The recently passed Omnibus spending bill, which funds the federal government through the end of the fiscal year, contained $70 million for the U.S. Department of Energy’s five Manufacturing USA initiatives—including the Reducing Embodied-Energy and Decreasing Emissions (REMADE) Institute headed by RIT’s Golisano Institute for Sustainability. The funding announcement was made by U.S. Sen. Charles Schumer and U.S. Sen. Kirsten Gillibrand on Monday. 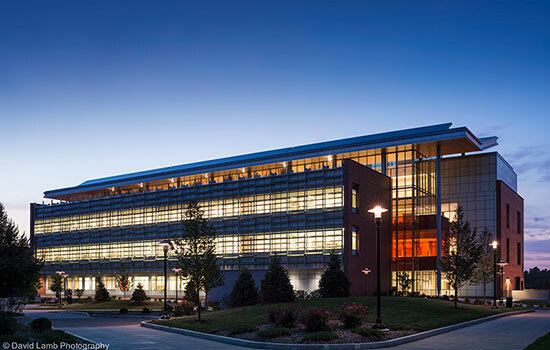 Early last year, the Department of Energy selected RIT to lead the institute, focusing its efforts on driving down the cost of technologies essential to reuse, recycle and remanufacture materials to achieve significant improvements in overall energy efficiency by 2027. RIT is involved in seven of the 14 Manufacturing USA institutes, with REMADE being the first the university is leading. The institute now includes 62 members.